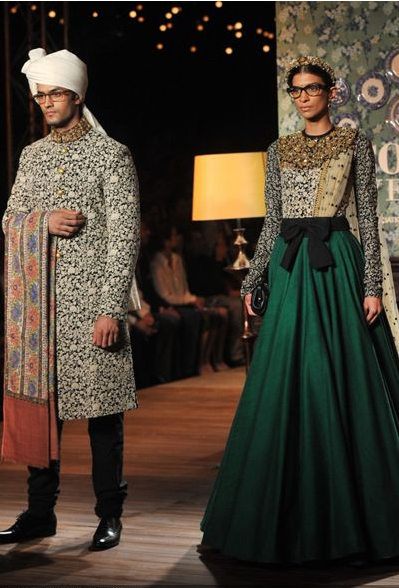 Delhi Couture Week 2012 came to a close yesterday with the showing of designers Manav Gagwani and Sabyasachi's collections. 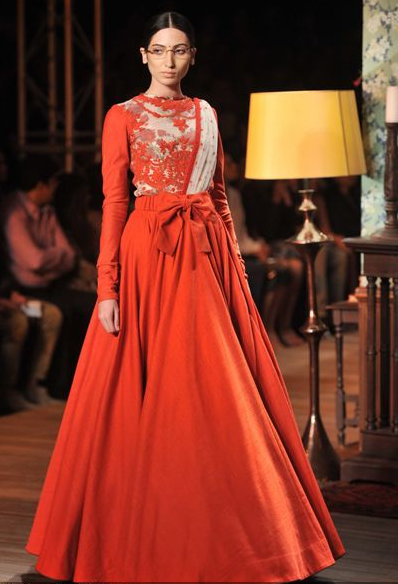 Very different in inspiration and design, both collections seemed to wow on the runway. 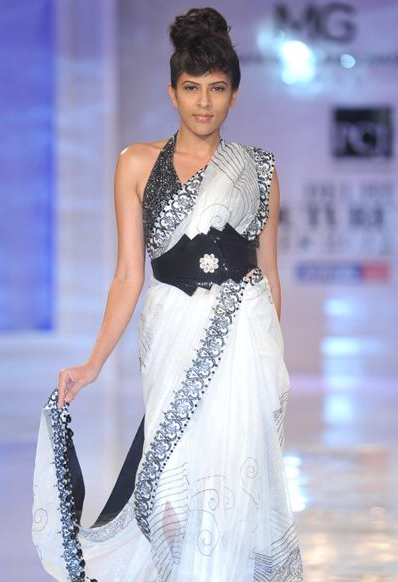 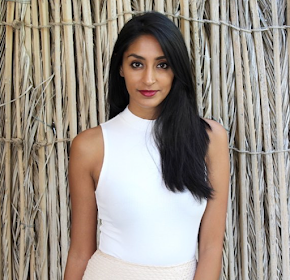 Manav Gagwani's cocktail bridal/party wear collection was created with glitz and glam in mind. 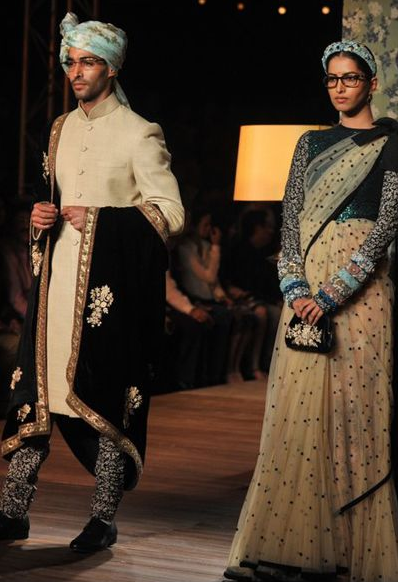 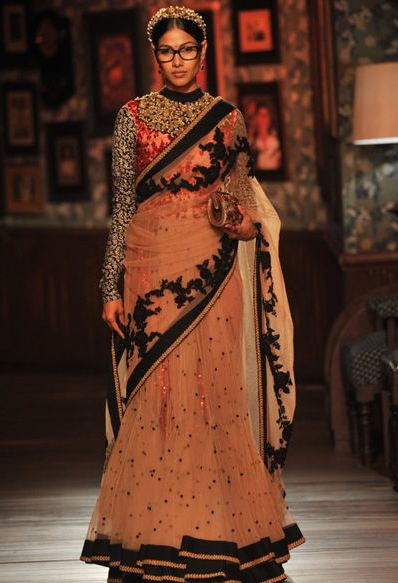 Whereas Sabyasachi's more traditional collection had a bit of a school teacher vibe to it. 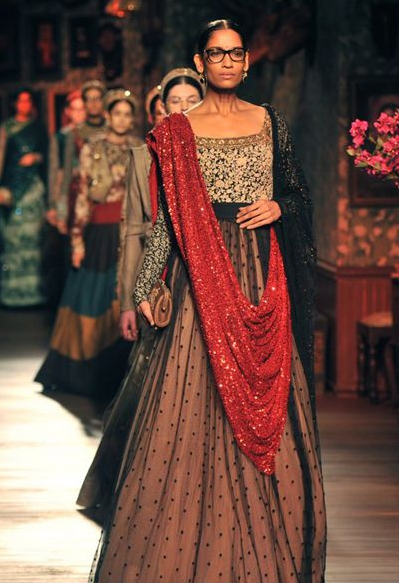 I love Sabyasachi's collection, it's different from his other collections in that this had a bit of glitz to it as well - but in a very toned down 'Sabyasachi' way. 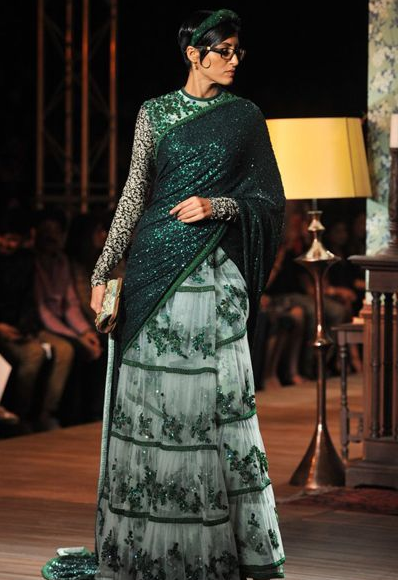 From Lakme Fashion Week to Delhi Couture Week, these last two weeks have been a feast for the eyes, don't you think?